Highest rated ghost hunting show in history? My box of Cheerios has Ellen's picture on the back. Ellen's picture looks disturbingly similar to Donald Trump. I don't want, or need, to deal with this nonsense just to have breakfast. They let you feed yourself, Ruprecht? You could try adding THIS to your next batch of mead. "Why is there a cork on the fork?... oh"
When Bob Schneider goes out on a Friday night, he no longer heads to the local singles bar. Instead, he goes to the grocery store. 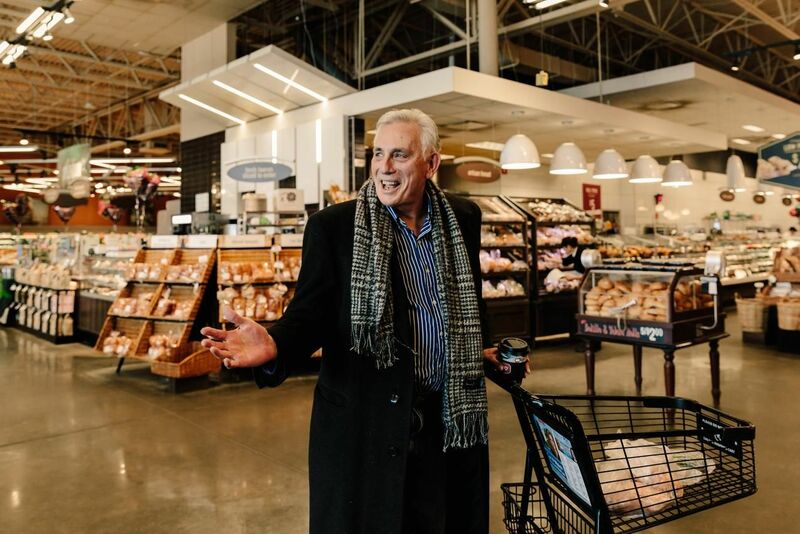 Supermarkets—those havens of the not-so-scintillating chore of scouring numbered aisles, pushing carts and perusing produce—are finding a new identity as a social hub in communities. Parents now bring their children here to play, retirees gather for Bingo, and singles find romance. Grocery stores are fulfilling the new role as traditional gathering spots, from shopping malls to social clubs like Lions Clubs and Rotary International, continue to shrink from decades-earlier peaks. Malls, in particular, are in danger of extinction. Credit Suisse has projected that up to 25% of malls will close over the next five years, as the internet continues to reshape the way Americans shop. As more shoppers consider alternatives including online shopping apps and meal kits, grocers are finding ways to avoid a similar fate. Many are reinventing themselves as destination spots. This is why the rest of the world hates us. We should so do this over tuttle's house. Can we go for the economy model on this and just light some gas soaked tennis balls and throw them back and forth over his house? No. Anything worth doing is worth doing right. And I like Tuttle, so burning down his house is certainly not an option. Researchers from an Australian University have announced in a press release a major discovery in relation to the existence of a female Pope in the early Middle Ages. For a long while, experts, believed that the existence of a ‘Popess’ was a myth. However, experts now claim that there are coins that demonstrate that there was an actual female Pope. The figure of ‘Popess Joan’ has become an icon for feminism and a hope for gender equality. Whether this figure was ever real or is pure legend is thus relevant and important in today’s world. This finding could have immense importance as not only will it confirm a twist in the history of the Catholic Church in the Middle Ages but also has implications for the future development of the largest Christian denomination in the world.